To understand pickup power to compare magnets you need to know how we measure pickup power and performance. Pickup power is a very difficult thing to explain or for a potential buyer to ask about and still have it mean anything. This is why Bluestreak measures pickup power in terms of the “maximum lifting height using a two and a half inch nail”. 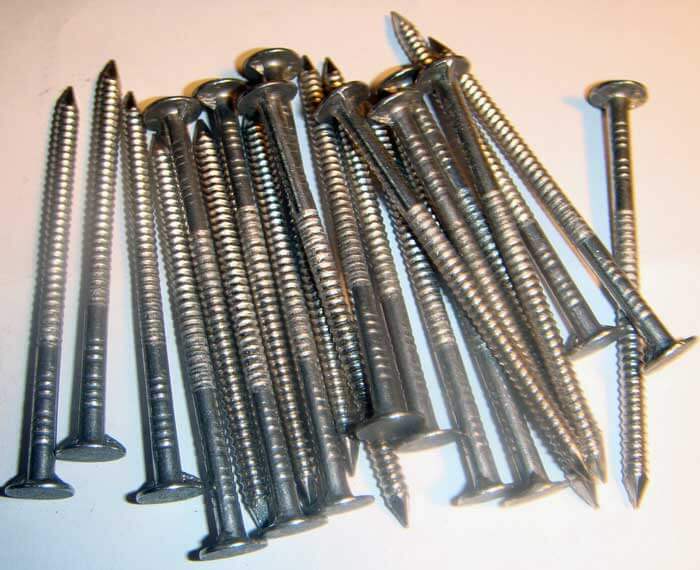 Everyone knows what a two and a half inch nail looks like. 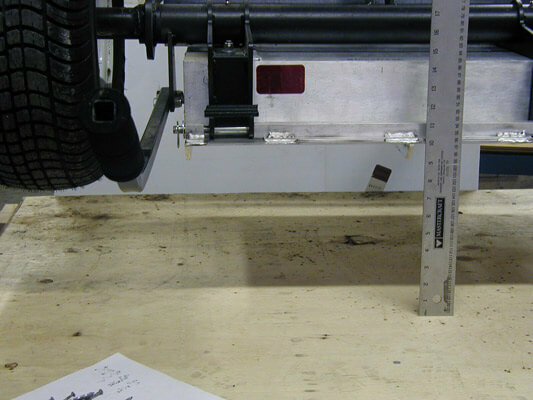 This measure indicates the maximum height that the sweeper can pick up a two and half inch nail from in a bench test. We provide maximum lifting height comparisons for all of our magnetic sweepers. An example of one of these graphics is below. 2.5 inch nails used to measure maximum lifting height instead of “pickup power”. For example: The earth’s magnetic field is 0.5 Gauss and a refrigerator magnet is 10 Gauss. Considering only these numbers one would think that a refrigerator magnet is more powerful than the earth. This of course is incorrect, the earth, due to its immense size is immeasurably more powerful. We also don’t measure “strength” of a magnet in terms of the “weight” of steel it will pick up, because it matters what the form of the object is that is being picked up. A steel bar is dense and you can pick up a lot more weight in terms of a steel bar, than you can nails, etc. Unfortunately there is no standard mathematical formula to calculate the strength of a particular magnet. We therefore had to come up with a way of communicating magnet strength that everyone would practically be able to relate to and understand, which is why use the “maximum lifting height using a two and a half inch standard nail”. Not everyone selects the most powerful magnet however, and there can be some good reasons for doing so. If you’re a mobile contractor type like a roofer, many roofers want something light that they can put behind the seat of their pickup truck because they don’t have to clean a very large job site normally and if they have to pass over an area several times with a smaller magnet that’s acceptable to them. Therefore take a close look at all the features, some magnets have very easy auto debris release levers to make clean off easy, others have lots of wheel hole settings to make fine tuning easy for your normal application. To the extent we can reasonably do so, you can count on one thing, we make all of these sweepers to last.